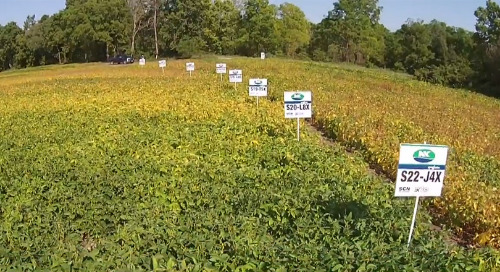 Do you have a yield target for your soybean crop? 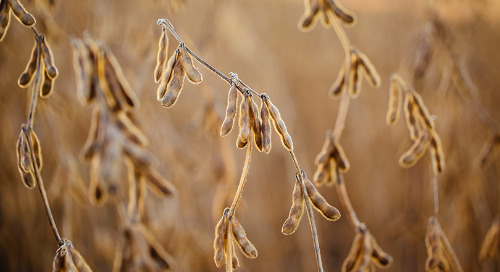 In Ontario, the provincial average runs around 47 bushels per acre, but some growers are hitting the 70-bushel mark – and with the right management mindset you can, too. 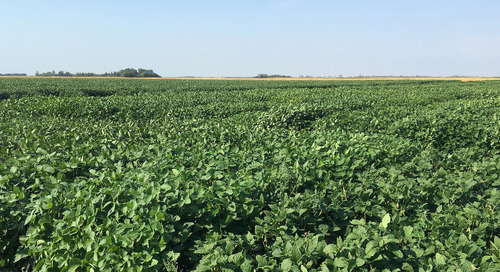 What does a 70-bushel soybean stand look like? 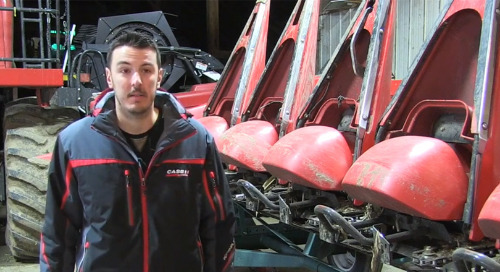 How do you create that stand and effectively manage it to hit this yield goal? These are questions my colleagues and I will address in this blog. 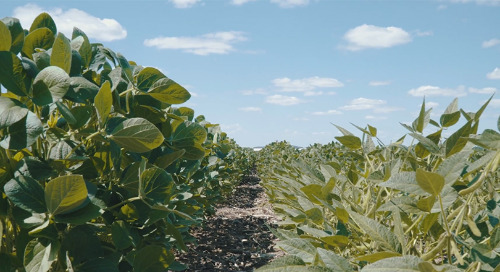 In the months ahead, we’ll talk a lot about the need to change your mindset when managing soybeans; about setting higher yield expectations and managing soybeans with intensity – just like how you manage corn. 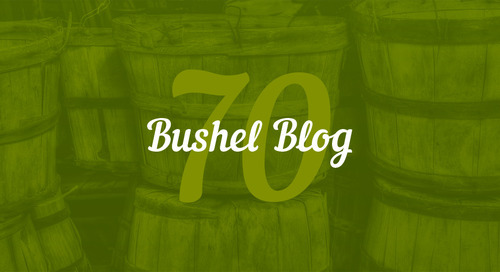 What does a 70-bushel stand look like? For starters, you need to raise your expectations. 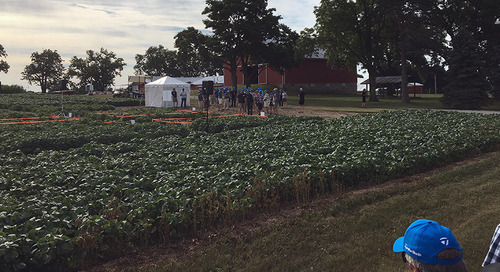 The first thing we want to do is paint a picture of a 70-bushel stand and what you should expect to see as your crop progresses through the growth stages. It all starts with a ‘picket fence stand.’ You may say that’s a corn term, but it really needs to be part of the soybean conversation. 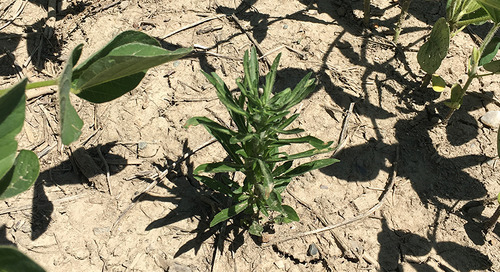 At V1, first trifoliate, we need to see uniform spacing and emergence. It looks like a carpet and there are no gaps. We’ll talk about how we define a gap in future blogs. At R1.5 to R2, flowering, we want to see pin pods at the bottom of the plant. We also want to see the plant loaded with flowers. Again, uniformity of growth is key – so is solid colour and healthy plants with no signs of disease or insect feeding. The roots need to be strong and the plants need to be loaded with nodules. 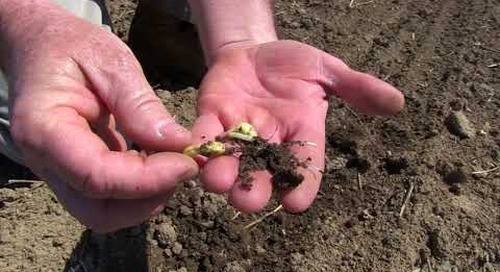 Remember, this is the initial stage for setting yield potential and 10 nodules per plant is not enough for a 70-bushel crop. At R3.5, pod development, the plant is essentially finished vegetative growth. 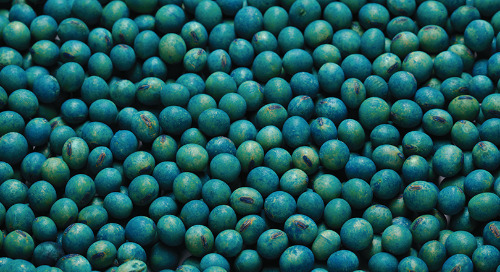 Here we’re looking for good colour and plant health. Canopy is also critical at this stage. If you plant in medium to wider rows look for a ‘W’ shape in the canopy. This configuration allows maximum sunlight to penetrate the canopy. When you have tall plants and the field is flat or looks like a table top, you’ve built too much canopy. At this stage, you want to still be able to eyeball a field to determine the direction it was planted. If that’s not possible, we’ve likely planted too much seed. Remember, at this stage we want nodal growth, not vegetative growth. 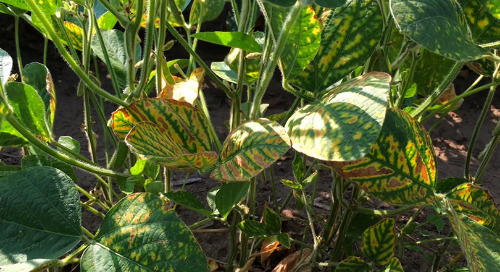 The next 70-bushel snapshot is taken at R6.5 – this is the senescence period where yield is essentially determined and the plant moves from bean fill to drydown. Here again you’re looking for uniformity through leaf drop, drydown and maturity across the field. It’s also important to see healthy golden yellow to orange leaves with no fungal disease or damaged tissue. When those leaves drop you should see consistent podset by node from top to bottom of the plant. Also look for that awe-inspiring 3 x 3 pod cluster at the top of the main stem – three pods on each node containing three beans. Of course, we need the plants to stand, but don’t be worried about a little late-season lean – 10 to 20 degrees. It’s a good indication that the plants are loaded. When you look at the plants from the side, you simply see a wall of pods that are uniform in load and height across the field. Looking down the row you should see very little ground, and depending on the row width, you can again recognize the ‘W’ pattern. 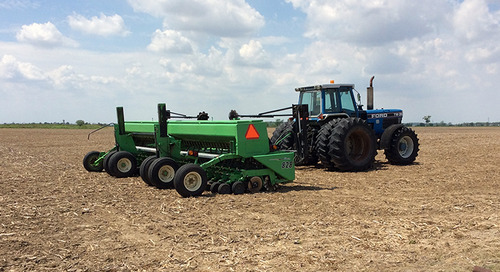 A 70-bushel stand is indeed a pretty picture, but remember, these high-yielding stands don’t just happen. 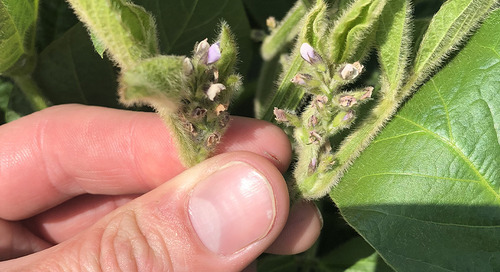 You need to intensely manage all aspects of soybean production – from genetics and variety selection to seed protection, stand establishment, soil fertility and soil health to weed control, plant health and more. We’ll help you tackle all these yield factors with intensity in future blogs. Stay tuned.